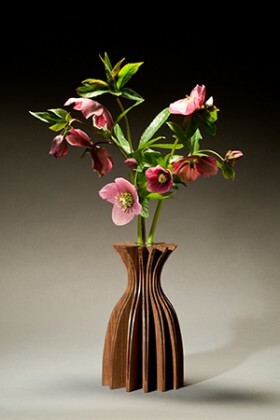 For many years now I have been experimenting with the dramatic, fluid and graceful forms that can be created by cutting one piece of wood most, but not all the way through and then expanding it. 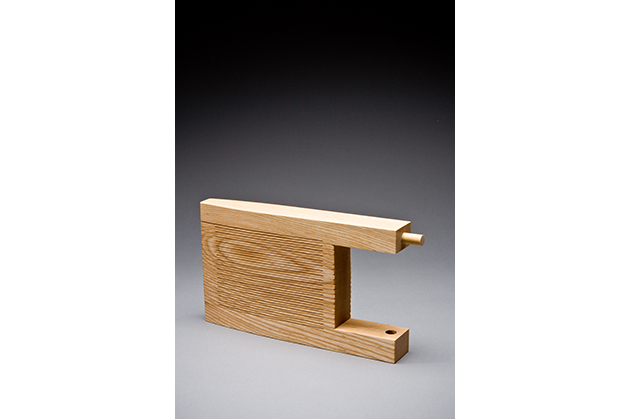 This method has led to clean, honest forms where the structure is the ornamentation. 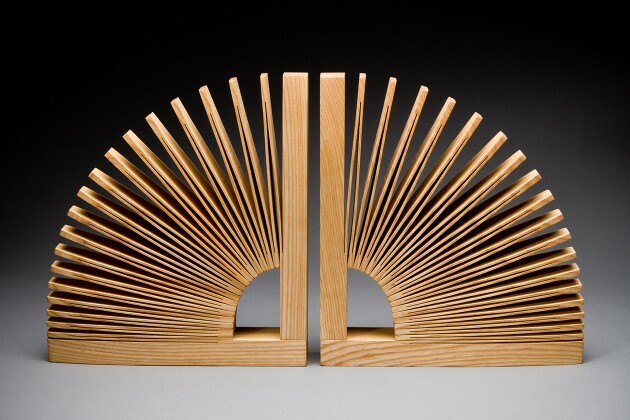 Each bookend is still one piece of wood. 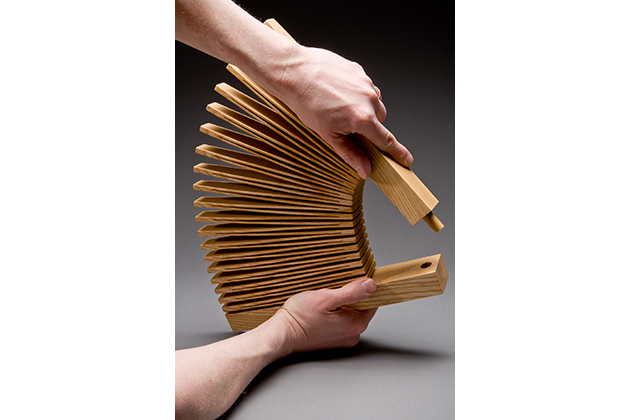 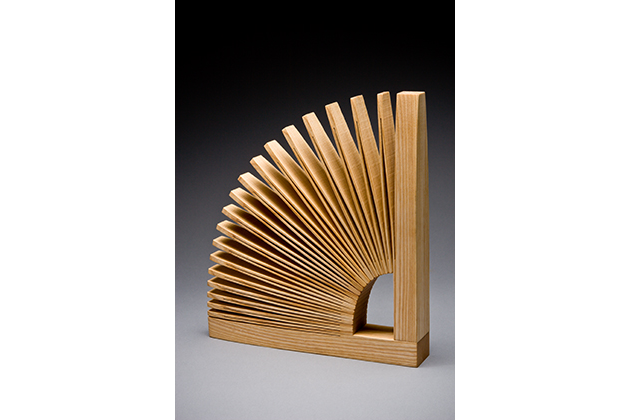 Open it like an accordion and simply connect it to make a sculptural, contemporary bookend. 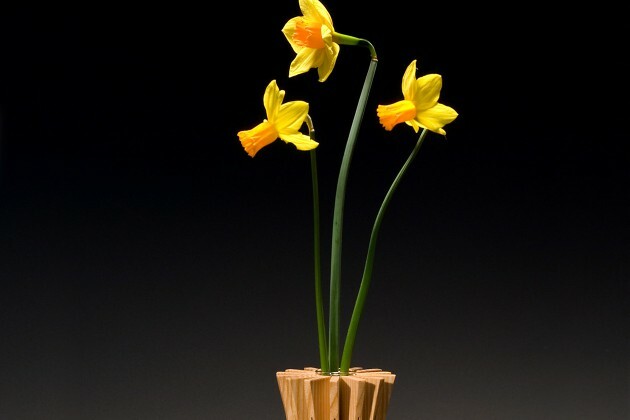 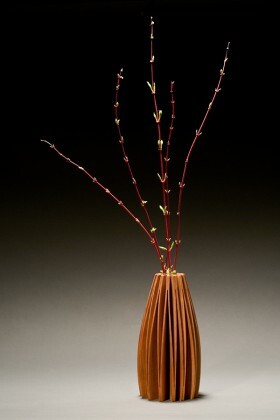 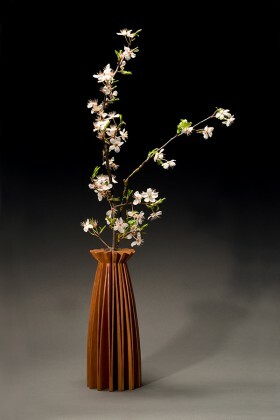 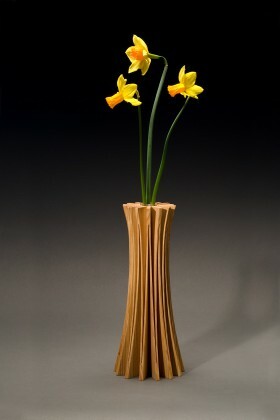 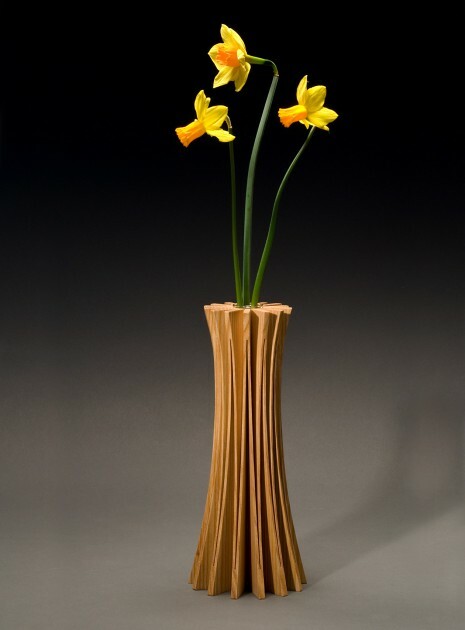 The wood vases arrive fully assembled and are available in 7 different profiles. 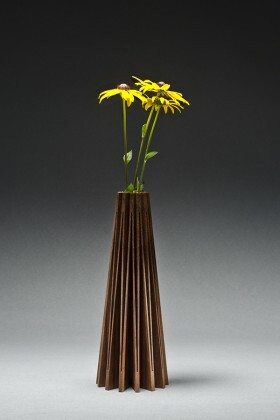 A removable glass tube holds the flowers and water. 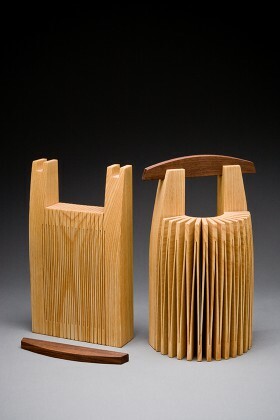 To learn more about this group of work, watch the slide show by Fine Woodworking magazine. 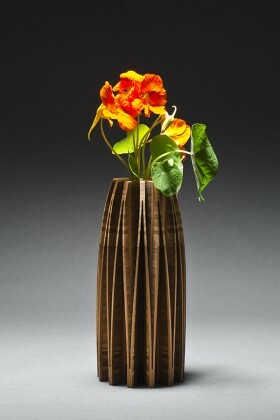 11"h x 4" x 4"
9"h x 4" x 4"
Sapele, Walnut and Curly maple. 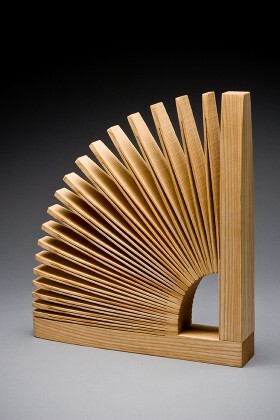 8"h x 4.5" x 4.5"
9"h x 4.5" x 4.5"
10"h x 4" x 4"
11" h x 2" x 11"
11" h x 5" x 8"